Heralded as one of the Bundesliga's best newcomers in 2011/12, David Alaba has firmly established himself as one of European football's most exciting prospects. Despite his relative youth, the Austrian international boasts a wealth of experience in a variety of positions both domestically and on the international circuit. Born in Austria to a Filipino mother and Nigerian father, Alaba took his first steps towards becoming a professional footballer when he joined the youth ranks of Austria Vienna at the age of ten. Though he never featured for the capital city's first team, his talent did not go unnoticed as he racked up more than 20 appearances for Austria's U-17s. 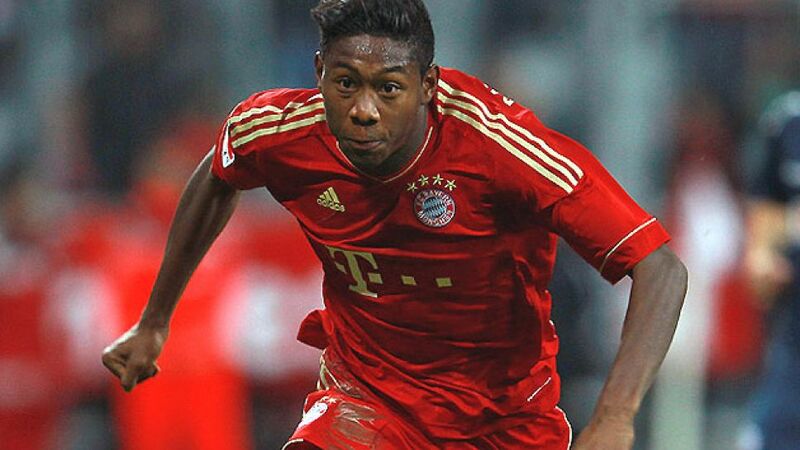 FC Bayern München made their move in the summer of 2008 and since then Alaba has gone on to become the youngest ever player to feature for the record titleholders in the DFB Cup and UEFA Champions League. In 2009 he also became Austria's youngest full international at the tender age of 17. Alaba gained invaluable first-team exposure when he joined 1899 Hoffenheim on loan for the second half of the 2010/2011 season. Although he prefers to play as a holding midfielder, Bayern had other plans. "He's a left-back even if he can't see it himself," said former FCB head coach Louis van Gaal. The Dutchman was right, too, as Alaba went on to make his breakthrough for Bayern playing on the left-hand side of their back four. Self-assured and grounded in his Christian faith, the young Austrian has already demonstrated his big-game mentality - one example being his performance in Bayern's 2013 Champions League quarter-final first leg against Juventus in which he scored the fifth-fastest goal in the competition's history. Alaba has continued to go from strength to strength at the Allianz Arena and, in December 2014, he was named Austrian Player of the Year for the fourth consecutive time, joining Ivica Vastic as the only other player to have won the award on four occasions.